A couple of weeks ago I was asked to lead a ride for the ELAM group. 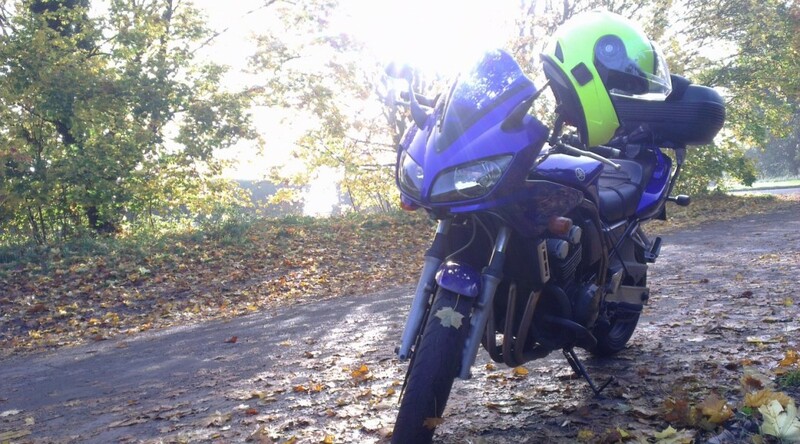 A bit of a double edged sword, a great chance to pick a route via my favourite roads, but also somewhat nerve wracking – you don’t want to miss a turning, lose anyone and so on. 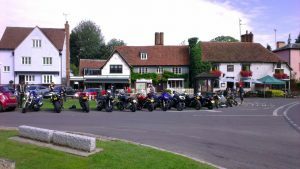 For the ride I choose a popular loop around Essex, starting in Harlow, then taking in Finchingfield, Halstead, Mersea Island, Maldon, Burnham-on-Crouch then returning to Harlow. 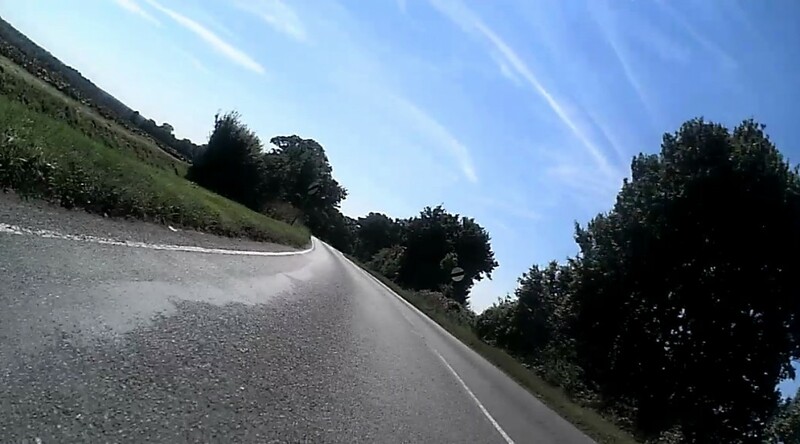 It was a bank holiday, the sun was shining and the rest of the family were out of town – such a perfect day teat up Essex on the bike. Be rude not to take advantage. 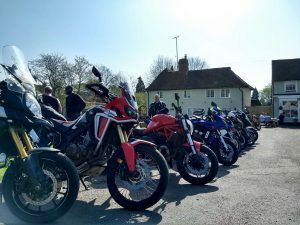 I struck North out of Romford, up to Ongar, West a bit to Stansted, up through Thaxted and then my first stop was Finchingfield – all roads lead to Finchingfield, you can’t have an Essex ride out not going there… Though surprisingly quiet today, not like most weekends. 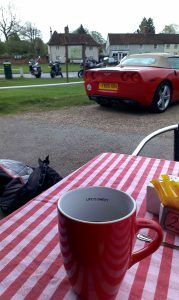 A quick cuppa in Bosworth’s, then back on the road. Heading Eastbound to Sible Hedingham, Sudbury, Manningtree before finally hitting the coast in Walton-on-the-Naze for lunch. 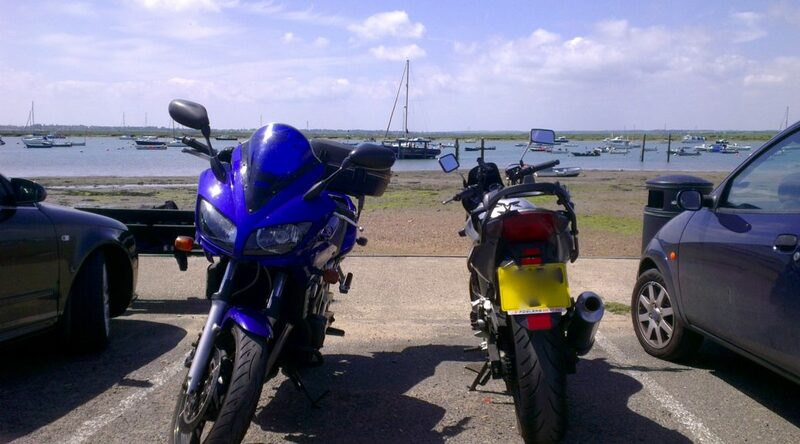 Parked on the seafront by Revved Up, a friendly little biker shop selling clothes and a modest brew. 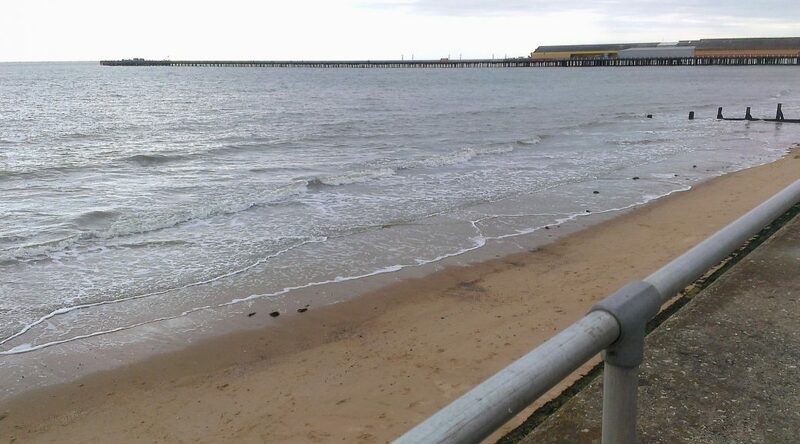 With sea, sand, surf and the chippie next door it ticked all the boxes for a quintessential British seaside jaunt. 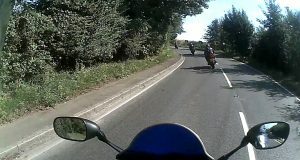 You’ve all been there, spent ages on Google Maps trying to plot a perfect super twisty route down all the quiet back roads; but come unstuck when trying to follow the route whilst on the bike. At the end of the day, you’ve got a computer with a route on the screen and a phone in your pocket with a GPS and maps – why is it so hard to your route from one to other and then ride it? This howto guide goes through all you need to ride a route off Google Maps on your bike, using your phone. For this half term holiday I had the chance to undertake one last ride for the year, out to North Wales to catch up with family whilst having a blast on the bike. I took Friday off work to ride up, but didn’t set off until nearly lunch as I waited for the rain to abate. The roads remained wet for most of the afternoon and the weather was grey. I took things steady, even though there were many fun and technical bends to negotiate. The route was very similar to the one I undertook last time: London, Aylesbury, Buckingham, Brackley, Banbury, Stratford-upon-Avon, Droitwich, Kidderminister, Bridgenorth, Shrewsbury and finishing in Welshpool. Night fall hit I passed Bridgenorth, where upon I was glad I had the Fazer with decent headlight, and enjoyed the London’s novelty that is main beam. Not a lot beats a hot August for getting out on the bike and enjoying oneself. Which is exactly what I’ve been doing this last couple of weekends, by mostly exploring Essex, which invariable entails a stop in Finchingfield. 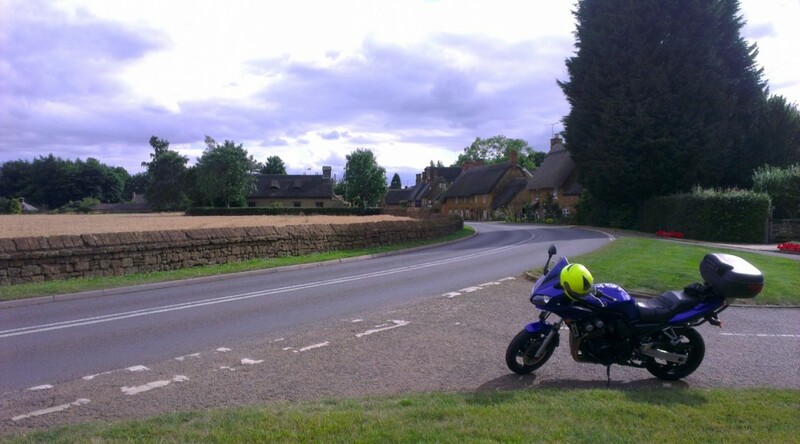 This picturesque village is quite the Mecca for bikers at weekends. With so many great country roads leading to and from it (see routes below), it’s no surprise. Bosworth’s Tearooms Cafe still rustles up fine food, although did change ownership earlier this year which has led to some menu changes and price increases. Their ice cream kiosk is still very much welcomed on hot days when sweating like a pig in full leathers. 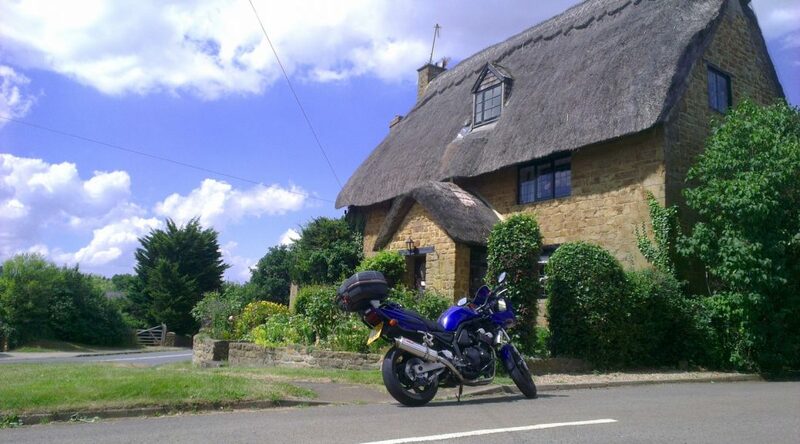 Just home from another long jaunt across the middle of England, from London to Shrewsbury, and back. Catching up with family for the weekend up in Shrewsbury, Welshpool and surrounding areas. I took a slightly different route from last time, running a little further North.